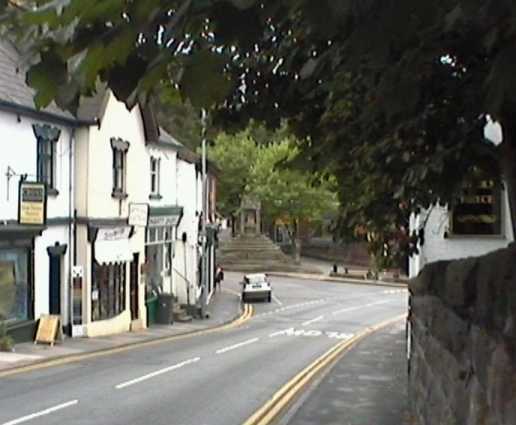 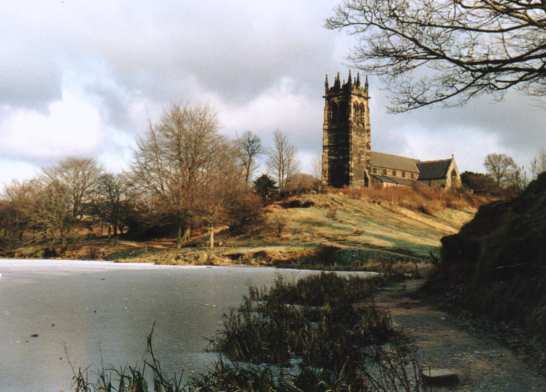 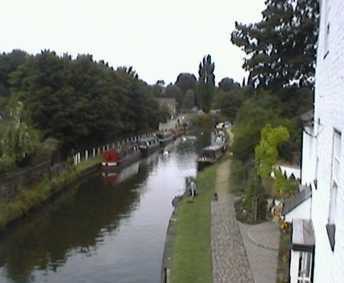 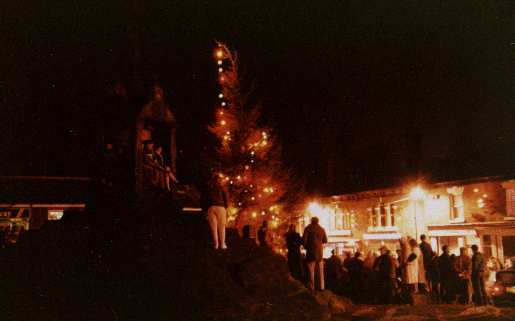 Lymm is located about 24 Km south west of Manchester, 8 Km from Warrington and 49 Km from Liverpool. 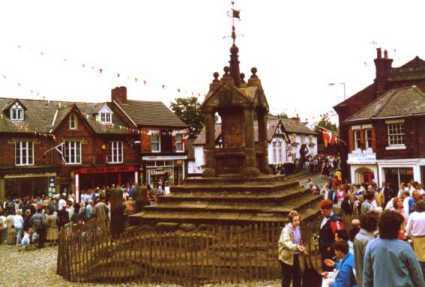 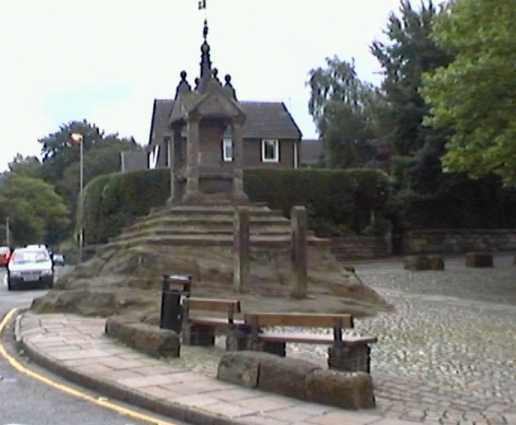 Although the word Lymm has Celtic origins, the first known settlement was in the 7th century. 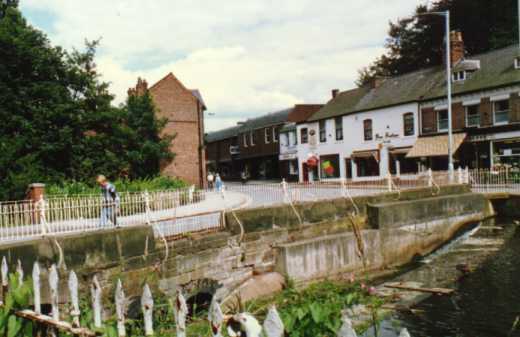 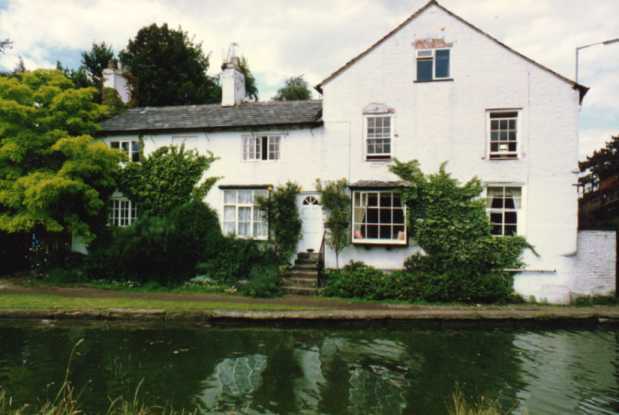 Lymm means a "place of running water" and probably stems from the fact that a stream runs through the village centre, the name is even more apt today because the Bridgewater Canal (built 1763) also passes through. 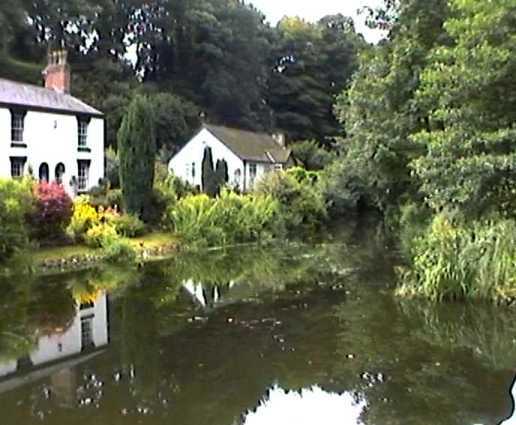 The Manchester Ship Canal (built 1884) runs within 4 Km of the village centre. 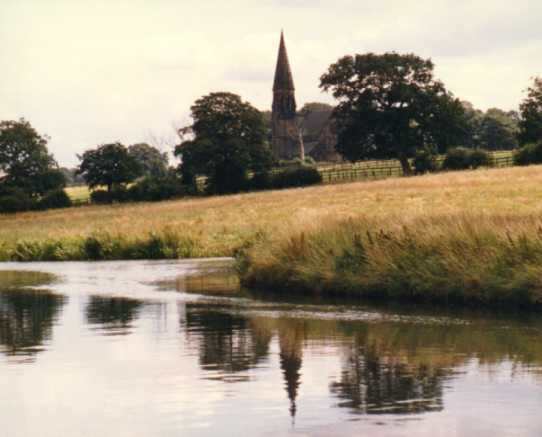 St Peter`s Church from Bridgewater Canal. 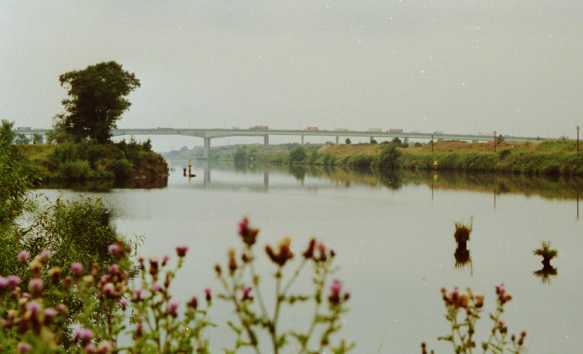 The Manchester Ship Canal near Lymm, on the left can be seen a meander of the old river Mersey, the Ship Canal cut through many of the bends of the original river course, in the distance the M6 (London-Scotland) motorway . 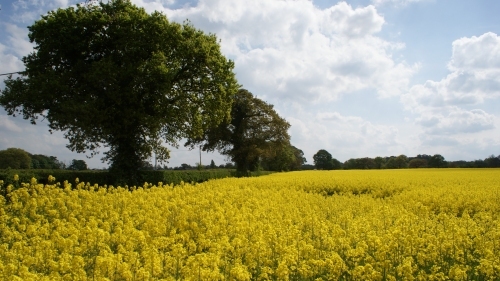 A field off Mill Lane, looking south, the Bridgewater Canal is just beyond the treeline.